Okay, time for the fourth post of my new ‘Battle of the Buttercreams’ series, featuring the second type of buttercream: flour buttercream! The buttercream that inspired me to do the original ‘Battle of the Buttercreams’ series one-and-a-half years ago. If you’ve missed the first three post of this fabulous new series, here they are: first, second, and third… The third post, which explains about the ‘beaten butter method’, is particularly important for today’s recipe. Now, before I begin, there’s something I think you should know: flour buttercream goes by many names! I just so happen to call it flour buttercream here on the blog, because the flour in the buttercream is really what sets this type of buttercream apart, in my opinion. But this stuff is also known as ermine buttercream (or ermine frosting) or cooked milk buttercream (or, again, cooked milk frosting). And if you’re familiar with The Pioneer Woman (who isn’t? ), you might know this buttercream as “that’s the best frosting I’ve ever had” (<– her words, not mine. Although it is very delicious!). First off, there are two ways of making this buttercream. Some people, including The Pioneer Woman, make it by combining flour and milk in a saucepan and cooking it until it becomes a thick paste. Once cool, this paste is beaten into softened butter with a whole lot of granulated sugar. As I don’t believe in mixing large amounts of granulated sugar into not-so-liquidy-mixtures (I can’t stand grainy buttercream!) I came up with a different method. Instead of adding the granulated sugar to the butter along with the cooked milk paste, I add the sugar to the milk and flour mixture before it’s cooked. In other words, I cook the milk, flour and sugar together! That way, all those little sugar crystals dissolve into the milk, which will thicken as it cooks because of the flour, and you end up with a smooth, sweet, but otherwise flavorless, pudding base. This pudding base is then mixed into beaten butter. Add vanilla and you’re done! The result? A super smooth, super creamy, incredibly delicious buttercream. 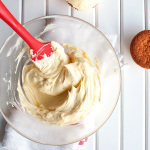 Trust me, if you want to make super smooth flour buttercream (or whatever you prefer to call it) without having to worry about undissolved sugar crystals, this is the way to go! But wait, I already came up with this method in my original flour buttercream post and this is the ‘Battle of the Buttercreams 2.0’, so what’s new about this recipe? Well, remember how my last recipe for flour buttercream didn’t pipe very well? I mean, I guess it piped all right, but the buttercream was a bit soft, so it had a tendency to ‘slouch’ a little. I am proud to say that I solved that problem! The key to super smooth flour buttercream is the ‘beaten butter method’. Of course, you know all about that, right? If you don’t… well, didn’t I tell you to read the third post of this series? Anyway, by beating the butter until super fluffy and adding the pudding base one spoonful at a time, you’ll end up with gorgeously smooth, creamy, fluffy buttercream that pipes beautifully every single time! So let’s talk a bit more about the ingredients, shall we? For this buttercream, you will need 6 ingredients: granulated sugar, all-purpose flour, table salt, milk, unsalted butter and vanilla extract. And if you’re one of those readers who actually compare the updated version (aka: this version) of the recipe to my 2013 version, you’ll note that neither the ingredients nor the quantities of the different ingredients have changed. That just goes to show how much of a difference the right method can make! When it comes to the butter, you want to soften it at room temperature. Yes, that means you’ll have to remember to take it out of the fridge about half an hour before you want to make this stuff! I use unsalted butter, because I like to control the amount of salt that goes into my buttercream, but you can use salted if that’s all you have on hand. But do make sure to use real vanilla extract. It’s so much better than the artificial stuff! If you can’t get your hands on real vanilla extract, use a vanilla bean instead. Just slice it open using a small, sharp knife, scrape out the seeds and add the seeds to the buttercream instead of the vanilla extract. So how do you make this new and improved flour buttercream? 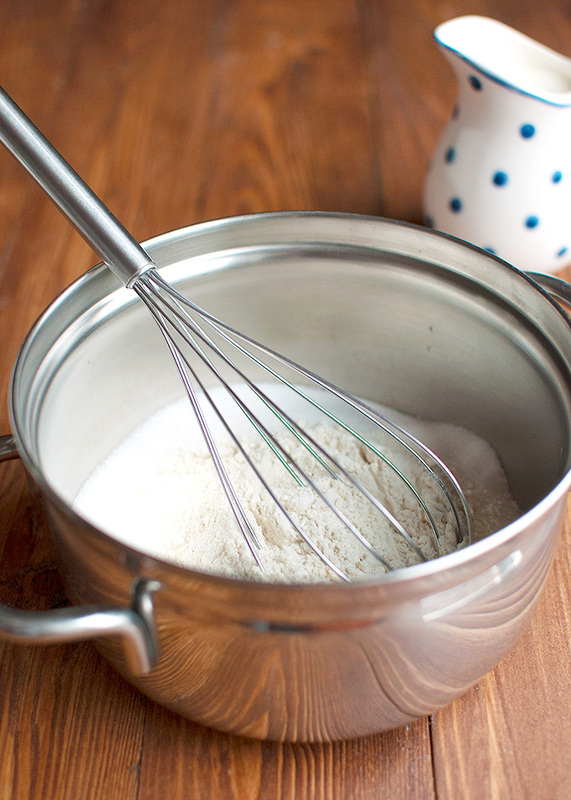 Step 1: combine sugar, flour and salt in a medium-sized saucepan and whisk or stir until combined. For visual cues, though I don’t think you really need any, check out photo 2 of this post. Step 2: Add the milk and whisk to combine. Because you’ve already stirred the flour, sugar and salt together, there won’t be any weird lumps. Just look at photo 3! Anyway, once all the ingredients are nicely combined, place the pan on the stove and heat over medium-high heat, whisking constantly, until the mixture thickens and comes to a boil. Once the first bubbles start to appear, turn the heat down to low, set a kitchen timer and cook the pudding for 1 to 2 minutes, whisking about every 10 seconds. When the kitchen timer goes off, remove the pan from the heat and whisk for about a minute to knock some of the heat out of the pudding. 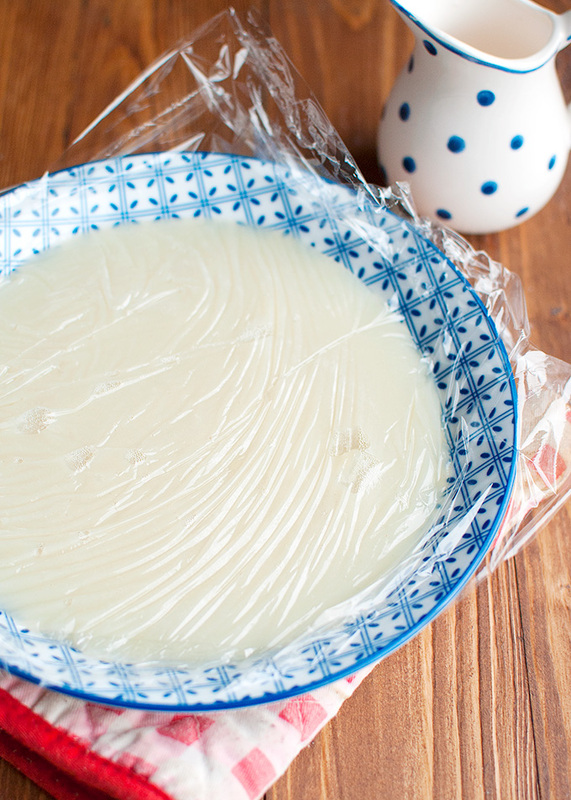 Using a rubber spatula, pour the pudding onto a plate and immediately cover with plastic wrap (pressing the plastic directly onto the pudding) to prevent a skin from forming (photo above). Allow the pudding – which, as you can see, will look like glue! – to cool to room temperature. Kick your feet up at this point. Just don’t forget to take the butter out of the fridge! Step 3: once the butter is soft, beat if for 5 minutes with a mixer, or until pale and fluffy. I made this batch in a stand mixer and accidentally beat the butter for 10 minutes because I completely forgot about it, so if you want to beat the butter for 10 minutes, that’s fine too. See? Soft, creamy, fluffy and pale. At this point, you can start adding the pudding base. Step 4: add the pudding base one spoonful at a time, mixing well after each addition. As you may remember, my 2013 recipe for flour buttercream said to beat cubes of butter into the pudding base. However, adding the pudding to beaten butter one spoonful at a time not only means that the buttercream will come together more willingly, reducing the risk of it separating, it also means that the resulting buttercream is a lot lighter, fluffier and dreamier. Trust me, doing it this way makes a HUGE difference! Once you’ve added all the pudding, mix in the vanilla, then smush the buttercream against the sides of the bowl with a rubber spatula for about a minute to get rid of any large air bubbles. This recipe makes about 780ml or 3¼ cup of buttercream, which, in my world, is enough to generously frost about 12-14 cupcakes or a two-layered 20-cm (8-inch) cake. But how much buttercream you actually end up with all depends on the amount of air you can beat into the mixture. So make sure to beat the hell out of that butter! So how does the flour buttercream compare to the American buttercream? Well, if I had to choose between the vanilla version of my American buttercream and the vanilla version of this particular buttercream, I would have to say – despite the fact that I really like both buttercreams – that the flour buttercream wins, because it has a more delicate flavor and it’s not as overpoweringly sweet. Of course, I wouldn’t tell you this if this buttercream tasted awful. I mean, c’mon, it’s buttercream! It’s not supposed to be healthy, it’s supposed to be delicious. And still… I feel I need to tell you this because not only does this mean that this buttercream beats the American version when it comes to taste and texture, it’s also better for you than the American buttercream. But stay tuned for an incredible peanut butter ‘n cookie buttercream! Makes about 620g (or 3¼ cup) of buttercream, enough to generously frost about 12 cupcakes or a two-layered 20-cm (8-inch) cake. Combine flour, sugar and salt in a medium-sized saucepan. Whisk together. 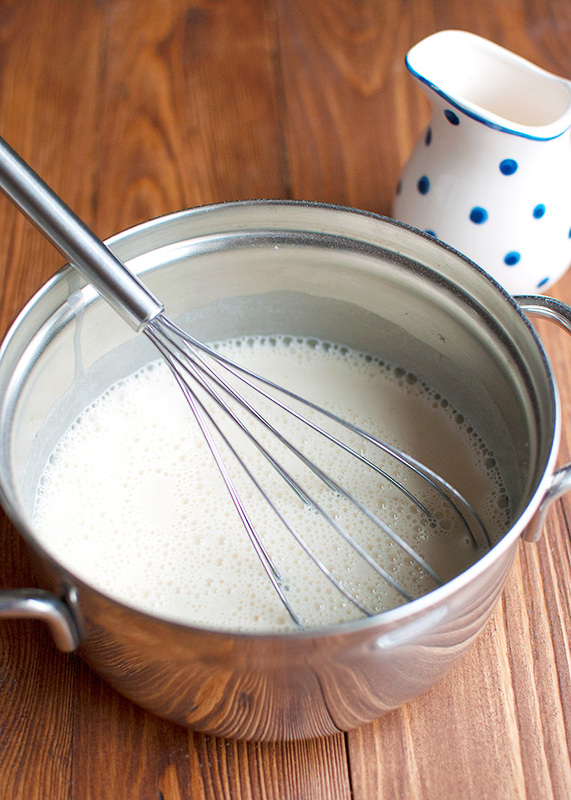 Add the milk and whisk until combined. Place saucepan over low heat and allow the mixture to come to a boil, whisking continuously. Once the mixture starts bubbling, cook for 1-2 minutes, then take the pan off the heat and whisk for a minute to beat some of the heat out of the pudding. Using a rubber spatula, scrape the pudding onto a clean plate and immediately cover it with plastic wrap, pressing the plastic wrap directly onto the pudding. This keeps a skin from forming. Allow the pudding to cool to room temperature. Once the pudding has cooled, beat the butter in a medium-sized bowl until smooth and fluffy and lightened in color, 5-7 minutes. Add the cooled pudding (which will look like glue at this point) one tablespoon at a time, mixing well after each addition. Once all the pudding has been added, mix for another few minutes, until the buttercream looks thick, smooth and creamy. Add the vanilla and mix briefly to combine. Finally, use a rubber spatula to smush the buttercream against the sides of the bowl (aka: stir vigorously for about a minute) to get rid of any large air bubbles. This makes piping the buttercream a lot easier. 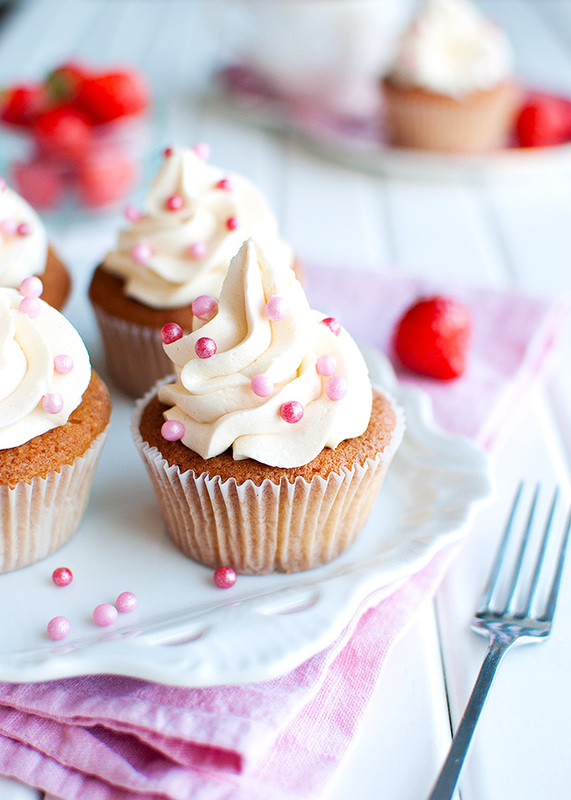 Frosted cakes or cupcakes stay fresh, stored in an airtight container in the fridge, for up to three days. Allow to come to room temperature before serving. Let me know how the buttercream turns out! I tried the recipe and it was fantastic! So tasty and delicious. I wanted to add raspberries to the frosting to make a raspberry buttercream, so how would I go about doing that? Hello, I know this is sooo late but try using freeze-dried raspberries. You can find them at target, whole foods and any health food store. I actually made this frosting with freeze-dried berries and it was delicious. mine is pretty thin..not very thick. I’m not sure why and I don’t know what to add to it to make it thicker. Hi Gina, try popping it in the fridge to chill for about half an hour, then whip it again with the mixer. Hello, I want to make chocolate Ermine buttercream, but haven’t bent able to figure out when to add the chocolate. It always thins out too much when I add it at the end. I was thinking about adding cocoa to the dry ingredients before cooking it. What do you think? Hi Diana, you’ve also sent me an email about this, right? The text of this buttercream is absolutely the best. I was having th the same problem. I substituted 1/2 of the Butter for a high ratio shorting and it piped beautifully. I also added the flavor and the milk to the dry ingredients before cooking. Thank you SOO much for this. I made a french vanilla cake this weekend with the old fashioned buttercream with just icing and butter and it was sooo sweet. As usual the kids removed it with their fingers. This is perfect. Hi Cloe7, you’re welcome 😉 Yes, you can certainly use coconut milk or evaporated milk or almond milk to make the pudding. Would this work with lemon juice as well? I am new to baking and gonna try this recipe for first time. iT definitely is a lot less sugar and looks yummy. Few questions though- how should I store this buttercream, what would be the shelf life. Can I leave the cake at room temp. After frosting it with this BC? Please help. Hi Mega, I always store this buttercream in an airtight container in the fridge for about a week, or in a ziplock bag in the fridge for a few months. Before use, I allow it to come to room temperature and beat it again with a mixer until it’s smooth and fluffy. Once you’ve used it to frost a cake, you can either store the cake in an airtight container in the fridge for about 3 days (just remember to allow it to come to room temperature before serving. This may take a few hours) or in an airtight container at room temperature for about a day. Hope this helps! Thank you so much for this absolutely fantastic recipe – I tried it & let me tell you it was delicious. I Would never try any other butter cream recipe coz this is THE recipe. I had trouble getting the thickness needed. I added 2 tbs. corn starch then continued to beat, beat. beat for maybe 8-9 minutes. When it did become thick enough, I have to say the texture and taste were fabulous – I will make it again when I want a really special cake. Simply addictive. Made last night for an art show opening. Doubled the recipe. Piped beautifully and tasted sublime on buttermilk chocolate cupcakes. Anxious to try this butter cream flavored for the filling of French macarons. Excellent recipe will be making over and over again. Thank you so much Maggie! I’m so glad you like the recipe 🙂 I hope your daughter liked it too! Ps. Have you tried rating the recipe in the comment section? You can rate it right above the ‘post comment’ button. Love this! I want to make it coconut flavor. How do you suggest I go about this? thank you so much. I made this flour butter cream last night at it tastes amazing. my client swears I whipped fresh cream. I have one question though, can I use it under fondant? I love your buttercream series, old and new. Its now my go to site when i need to know more bout buttercreams, it’s very informative. Can you make this with cream cheese and less sugar? Thanks! Hi Sam, I’m so glad you like the series! You can certainly make this with less sugar: just adjust the amount you add to the milk and flour mixture to your own liking. It may take a few experiments, but that way you can adjust the sweetness of the buttercream to your own taste. As for the cream cheese, I’m sure it can be done! Just replace the butter (or part of the butter) with cream cheese that you’ve softened at room temperature. Hi Sam! Have you tried it with cream cheese? How did it go? Thanks! Hi Rae, I haven’t tried this with tapioca flour. But I bet you could use gluten free all-purpose flour instead of the regular all-purpose flour! You can use cornstarch, instead! That’s how my mom always made it when I was growing up. Thanks for the great tip, Lindsey! Hi! When storing in the fridge, should I let the cover touch the buttercream to avoid the skin from forming (just like in the pudding) or would I not worry about it anymore? Oh, additional question: how would I make this a chocolate ermine (sounds so fancy!) buttercream? 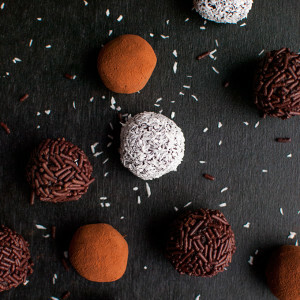 Would I melt chocolate or use cocoa powder? Hi! I am excited to try this, a lot of my cakes get feedback that the icing is too sweet. I am wondering, though, how it should be stored? Would the finished cake need to be refrigerated? Hi Allison, I’m sorry I haven’t been able to answer your question until now, but I’ve been super busy with my thesis! Anyway, if you want to store a cake that has been frosted with this buttercream, keep it in an airtight container in the fridge. Three to five hours before you plan on serving the cake, take the cake out of the fridge and allow it to come to room temperature. Can’t wait to try on my daughter’s birthday cake. Can I add colors for decorating? Hi. Can I use shortening instead of butter.. or part butter and a part shortening and use some flavoring to lessen the taste of shortening. I am looking for ways to minimize the use of butter. Its not really available in my place..
Hi I too had never heard of this type of buttercream, but since I have had the worst luck making it with powdered sugar, I felt I needed to try your recipe. It was beautiful, no icky powdered sugar taste, just like …amazing. I have a question though, I followed your instructions to a tee… but my buttercream came out too runny. 🙁 it has no body. if that makes sense. Although I am using it to frost a 6 layer cake, not pipe. Could that be why? Also, it is a very warm day today, that is definitely a factor. Other than this, amazing tasting, beautiful frosting. I wont be making buttercream the old way again. Is it possible to substitute the custard with lemon curd? Pretty amateur baker here! To make this a chocolate buttercream, how much cocoa powder would you suggest I add? If you’re set on making a chocolate flour buttercream, try dissolving 3 or 4 tablespoons of cocoa powder into the milk before turning it into a pudding to make a chocolate pudding, then mix it into beaten butter once it has cooled to room temperature. I don’t like frostings but needed something for a birthday cake – this is great. It isn’t nearly as sweet as most, not hard to make, and actually has flavor. I combined about 1/2 a cup of the final product with 1/2 a cup of raspberry preserves for the filling of the cake, used almond extract in place of vanilla, and pressed sliced almonds on the sides of the cake. The recipe made enough for a reasonable decoration of a 2 layer cake. This will be my go to from now on. Thanks! I really like all of your recipe. I live in Indonesia, with most tropical weather, I already follow each instruction very carefully, but all of them turm out runny. FYI, I use Elle & Vire french butter with 10-15minutes out of the fridge (coz I’ve tried 30 minutes and they are too soft, but still not melted), I use electric hand mixer, clean glass bowl everytime, but still have problems. In flour buttercream, after the pudding is cool, tgen I start to whip the butter, until more than 10 minutes and the look is still glossy, but not runny. But after I add the pudding 1 tbsp at a time, the result is always runny. In making swiss meringue buttercream, I whipped the egg mixture untill it comes to room temperature then add the cubed butter, but after adding the butter its all melted and never hold a good shape. I tried to put them all in the fridge for uo to 30 minutes and whip them back, but after few minutes whipping, they are all runny again so whenever I out them in the piping bag, they always run straight to the very bottom and come out. Do you have any idea what did I do wrong? Hi Ina, I’m so sorry to hear this! I understand you’re frustrated. To answer your question, I need to know if your kitchen is especially hot. Buttercream is very sensitive to heat, and you mention that the climate in Indonesia is mostly tropical. If you don’t have air conditioning, the butter may still melt as you whip the buttercream, because as you beat it you essentially beat ‘hot’ or ‘warm’ air into it if your kitchen is very warm. If you feel like this may be the case, try making the buttercream in a bowl you’ve placed in an ice bath. Here’s how you do it: fill a big bowl with some water and ice cubes (not too much ice). Add the bowl with the butter (softened for 10 minutes) to it, making sure the water of the bigger bowl can’t get into the smaller bowl with the butter, and start beating in the pudding or the swiss meringue (swiss meringue can also be made using the beaten butter method). The ice bath should stop the buttercream from becoming too warm. I hope this works for you! Please let me know how it turned out! Can low fat kefir or fat free yogurt be used for the milk? Can sugar substitutes like erythritol and stevia(Truvia brand) be used for some of the sugar? My mother made frosting like this when I was a child. Evidently we seldom had powdered sugar to use, so this was our cake “icing”. I made this today for two birthday cakes, and unfortunately, although I followed the instructions to a “T”, mine came out runny as well. After reviewing all of the posts here, I decided to put the entire bowl into the freezer for about 20 minutes. I am happy to say that it firmed up nicely (too bad I didn’t wait to do the first cake) and spread beautifully on the second cake. I substituted cherry extract for the vanilla and this is quite a dream frosting. I HATE powdered sugar based ones so this is my new go-to. I really want to try this recipe instead of making an American buttercream because last time I made it it turned out to be a very-very sweet one. Thanks for sharing a recipe, I’d let you know about the result when I make it. Can I add Nutella to this recipe? If I can, in which part should I add it? Can I store this buttercream in a piping bag overnight? Should I put it in the fridge or just leave it at room-temperature? Will it make it less fluffier, if it makes how can i get rid of it? As far as your questions go: I’m not sure whether you can make this buttercream Nutella-flavored. I haven’t tried it myself yet, but I’d say make a small batch of buttercream and experiment by mixing in tablespoons of Nutella until it has a nice Nutella flavor. It might come out great! I made it (without Nutella because I didn’t have enough time to experiment but hopefully I will). This recipe is DELICIOUS!!! Thank you for making it, and sharing it Nila! Hey I really want to make this but I was wondering if this will go hard and form a “crust” in the fridge overnight. Or does it stay soft and creamy? 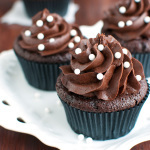 Hi how to make chocolate butter cream frosting? Chocolate favour. I saw a blogger who used a,method very similar to your flour buttercream method to make Swiss Meringue Butter cream. She made the syrup with eggs and sugar, but instead of beating it into a meringue, she beat the syrup into the butter. She said it was even more stable than Italian buttercream and though you have less volume, it ended up the same as traditionally made Swiss meringue buttercream after a few hours. 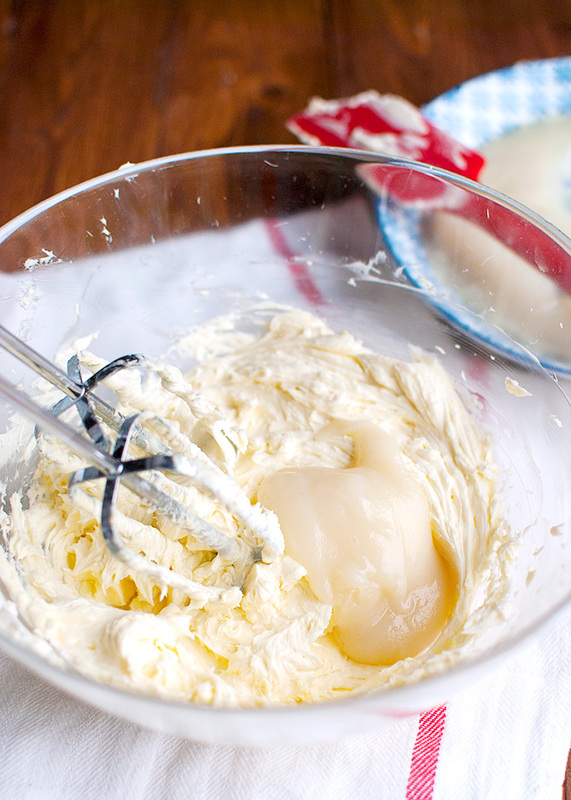 Do you think this beaten butter method would work with Swiss Meringue Butter cream? I am not sure who the blogger is that CTS may be referring to but I know of a blogger by the name of Summer Stone who contributes to The Cake Blog as well as her own blog Cake Paper Party. The 2 posts in which she discusses her method of preparing a heated syrup that is then cooled and added to the beaten butter are linked below – I hope these work. One more question. How long will the frosting stay in shape in room temperature or slightly hotter? The crushed Oreos can make the buttercream a bit softer and easier to melt, but I’d say that it will stay in shape for at least a few hours at room temperature. Can you freeze the flour buttercream and for how long? Yes, you can freese the buttercream in a ziplock bag for up to two months. Allow it to thaw in the fridge, then allow it to come to room temperature before mixing it with an electric mixer until it becomes smooth and fluffy again! Hi! I am so happy i found this recipe! I need a not-too-sweet buttercream for a client. Thank you! Question though, can i fold in jam, jelly or marmalade to it like in american buttercream? Hey there! I’ve been making ermine buttercream for a few years now, and I think it is magical! Before I knew what it was actually called, I called it “Angel Tears Frosting” since it was so heavenly smooth and fluffy! lol I’ve even made it using a lemon pudding as a base. So good! I have always added the butter to the base as if I were making French buttercream, but after reading your post, I’ll reverse my process and add the base to the beaten butter. Thanks for a great series on buttercream! I just started baking few months ago and i dont have my stand mixer due to the fact that its pricey and then i wouldnt be able to bring with me when i migrate abroad. It is possible to beat this on hand mixer following the methods? Or do i really need a stand mixer to perfectly make a perfect frosting? Thank you. Hi Gly, I don’t use a stand mixer most of the time. Only when I’m feeling really lazy 😉 I usually use a $10 handheld mixer and whenever I make buttercream it always comes out super creamy and fluffy! im hoping to give it a try this weekend. was wondering can this recipe be easily doubled? if so what are the ratios? I’ve read the comments and one viewer/recipe attemptee mentioned a double recipe tastes too floury? This frosting is just not for me 🙁 I guess. In conclusion: It’s terrifying how different peoples taste buds are!! Can you make half a recipe?!? Thank you for the recipe! I tried making a maple buttercream with this recipe three times and it broke and curdled on me each time. The first two times i added maple syrup directly to the pudding mixture and reduced the amount of white sugar. The pudding consistency was the same as it is when I just use sugar (It also tasted really good!). Initially it looked good when added to the butter but then broke. The third time I just made the regular pudding and added maple syrup directly to the frosting once I had incorporated the pudding. It looked fine initially and then broke and curdled. I use pure maple syrup. I ended up giving up and just making maple american buttercream – any idea how to turn this recipe into a maple buttercream? Thanks!! Hi Tiffani, I’d have to experiment with turning this buttercream into a maple buttercream myself, but my guess is that the maple syrup (which is quite watery) breaks the water-in-fat emulsion of the buttercream. In other words, there’s too much liquid for the butter to absorb. Try adding less maple syrup, or try making the pudding with maple sugar instead of granulated sugar! 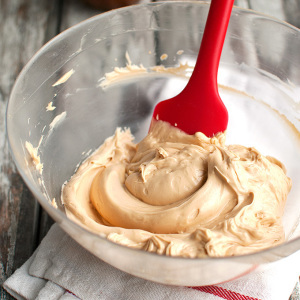 Been making this frosting for years, but the old way w/out sugar in the ‘pudding’ mix. The secret to that method is to absolutely beat the butter at least 10 minutes and to beat the mixture once butter and pudding are together for at least another 10 minutes. A suggestion to the maple frosting-you might want to sub maple ‘sugar’ for part of the granulated sugar instead. Haven’t tried it but maple sugar is useful in other instances where you don’t want the extra liquid and has exactly the same taste ! hi! thanks so much for all your great info on buttercreams. 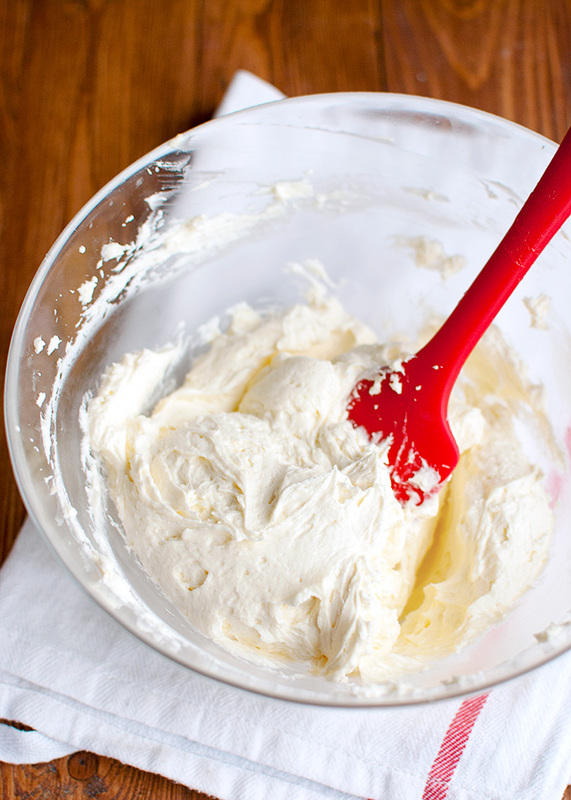 question…can i use a liqueur to flavor flour buttercream? Hi Denise, yes you can. Just add it right at the end instead of the vanilla extract and be careful not to add too much of it, because liquids can cause buttercream to separate. Just add a teaspoon at a time and taste as you go! Can I use icing sugar instead of granulated sugar? Hi Mrs Adam, I’m not sure actually. I’ve never tried making pudding with powdered sugar instead of icing sugar before. I guess you could try it, though! Would love to try this recipe however as I cannot get hold of all purpose flour I’m iffing and offing on what flour I should use, plain flour/self raising?? I’m guessing plain but thought I would double check. Hi! I just made this and the initial flavor was gross! I used salted butter and “pure” vanilla extract. It tasted way too buttery and a weird aftertaste. I only made half a recipe so I didn’t waste too much ingredients but I’m disappointed! At least the texture was great. Hi Ana, I used unsalted European butter with 83% butterfat and with no added artificial butter flavor. I’d give you the name of the brand, but I’m pretty sure you won’t be able to get hold of it, because I live in the Netherlands. The vanilla I used was Madagascar Bourbon Organic Vanilla Extract. I hope the next batch comes out great! thanks a lot for the recipe..the outcome is very well as if followed ol ur steps perfectly…its simple n easy method.. I found this recipe by Googling “buttercream that’s not too sweet” and it is an absolute dream. I made it last night, and everything came out perfectly. So delicious! I’m glad it’s a bit futzy to make because otherwise I would just cook up a batch and eat it by itself–no cake necessary! Thanks again for this excellent recipe and the thorough instructions. This recipe worked really well. Thanks for sharing. I’d love to see a demonstration of how you pipe the frosting onto the cupcakes. It looks beautiful. Hi! I tried to make this buttercream on a warm day in Australia. Everything was going perfectly and the frosting tasted great until I beat in the vanilla at the last minute, when the frosting curdled. I’m not sure where I went wrong to make that happen, whether it was the temperature or how long I had beaten it for. I actually beat the mixture for less time than you recommended as it curdled in only a couple of minutes. Do you have any suggestions about why this happened and what I could do to fix it? Thanks! Can I make this with margarine ? Butter is a bit pricey in these parts . I know that solid shortening (such as Crisco) isn’t really “good” for you, but this recipe is great if about 1/4`1/2 the butter is supplemented with it. My question is whether this great frosting can be successfully tinted with food color. Oh my!!! I wish I had seen your post just few days prior. I use this recipe all the time, but have been unhappy becuase you can see the grandulated sugar. I color my frosting, soooo would have loved it before. But. NOW i know. Thanks!!! Either way it still tastes awesome, my hubby doesnt like any other frosting. Only this one. Okay, I hardly ever, like never ??? ?, comment on any blogs but I had to for this one. It’s 1.04am in my country and I just finished frosting this vanilla cake ???? I made, with chocolate ???? icing. After years and years, I was finally able to properly frost a cake ???? l thanks to you and this recipe. The texture of the icing was heavenly and thankfully not so sweet. I had to whip the whole thing manually considering the time ⌚ but that didn’t stop me from making THE BEST ICING IN MY LIFETIME! ???????????? Thank you so so much for this recipe! It was super tasty and incredibly easy to follow. ???????????? Thanks a lot. Wishing you happy holidays and congrats on your bundle of joy ????! ???????? ???????? Your blog looks lovely. I’ve just stumbled across it while searching for a stable flour/pudding/ermine buttercream frosting that is a) not as sweet as American buttercream, and b) eggless- hence not a meringue buttercream. 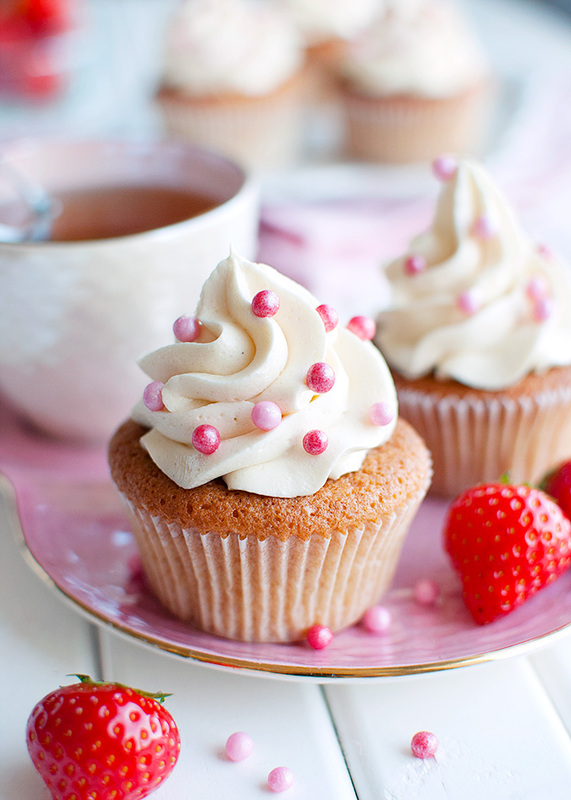 This buttercream looks lovely! I will give it a try. Do you think it will hold well enough for piping a ruffle cake? Hi Mallika, I’m so glad you like my blog 🙂 I think the ermine buttercream would be perfect for a ruffle cake. It pipes really well! Hi,I tried to make this cooked frosting bt it became too thin n hv added around a cup of powdered sugar bt its nt getting thick. Plzzz help me out. Hi Anu, have you cooked the pudding mixture long enough? Because it really needs to thicken in order for the buttercream to come our right. If the pudding mixture is still too thin after cooking it properly, try adding an extra tablespoon of flour before cooking. Hope this helps! This buttercream sounds really new and really good to me. I just wanna ask if I can use a full cream milk instead of skimmed milk? Thank you so much! I just made this buttercream and it came out looking separated. I live at 7000 feet so I’m not sure if altitude played a part. Everything was at room temp, should I have refrigerated it before piping? It almost seemed runny, but definitely looked separated! I made your American buttercream last weekend and it came out fantastic, just too sweet for my husband’s liking. Hoping to figure this one out for my son’s birthday cake!! Thanks! Nila! Thank you so much for such a perfect recipe. It worked a dream, despite the pudding bit looking a little less than tasty. It’s such a welcome departure from the standard, sugar-heavy buttercream I’m used to. I’ve made it for a red velvet cake and the two together are delicious. I hope you don’t mind me linking to this page from my blog. Hi nila! Thank you so much for this recipe! Been using it for so many times now! I asked u a question way back in october and never get to thank you enough. I have another question: Can you make this as cream cheese frosting? Should i substitute some of the butter or just leave it as is and add cream cheese? And how much? Hi, I am very excited to make this recipe, but before I make it, I have just one question, how long should I beat after each addition of the cooled pudding into to the beaten butter? Thanks for sharing all these delicious recipes! My buttercream is looking a little “loose”. I think I might not have cooked the flour paste long enough. It did thicken, got gluey, and I couldn’t taste the flour. Is there a fix? Can I beat in more softened butter to give it more structure? Thank you!! Hi Rowena, sorry for the late response! Yes, you can add more softened butter to thicken it! Oh my goodness! I feel like such an amateur baker for not knowing about this type of icing. Must try! Thanks for sharing such a detailed post! I am going to make this today or tomorrow. My question is: Does it matter if you use American unsalted butter or unsalted European cultured butter? I have both (Plugra Euro butter), but the European butter is rather expensive. If you get a better result, then it’s worth it. Wonderful recipe for those of us who like fluffy-yet-creamy-not-so-sweet frostings! For those who are getting runny frostings, I wonder if they are COMPLETELY cooling the pudding before adding? If even slightly warm it will melt the butter. I make it the night before and cool it in the fridge before adding to the butter, especially on warm days. I love your recipes, especially the rigor you put into comparing and contrasting different options (Battle of the Buttercreams), the explanations and tips. Really helpful and interesting! Hi W, I’m so glad you like what I do! 😀 And it’s a great idea to chill the pudding overnight before incorporating it into the butter! 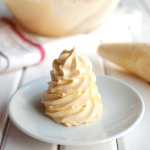 Hi Laura, buttercream that has come to room temperature is both more flavorful and smoother. It just has a more pleasant, luxurious, silky mouth feel if you ask me, though some people prefer cold buttercream. Hope this helps! So I made it, and it came out nicely. As someone mentioned earlier, it was like whipped cream. The only problem was that it only made two cups. I whipped it just as instructed with the whisk attachment. Maybe longer whipping time? If so, before or after the pudding is added to the butter? Hi, a very good day you! May I know if this buttercream will stay up without melting if put it under room tempeture in summer time ? Hi! I tried making it today, but result was bad. It was runny.. I followed every steps. I put it back to the fridge n tried whipping it again and it became runny again. Not sure what went wrong. What can I do with it. It’s such a waste to throw it away. I will try making another Batch tomorrow. Hi Winnie, I’m sorry your batch didn’t turn out right. Did the pudding thicken up properly as it cooled? And did you use real butter? Hi ! Can I make the flour,milk and sugar mixture ahead of time, like a day ,before I whip it with the butter, and just leave it inside the fridge? I tried this and everyone loved it! My children called it vanilla ice cream frosting ???? That’s so cute, Joy! I think vanilla ice cream frosting is such a good name for this buttercream 😀 You can definitely make the pudding part the day before and chill it in the fridge until needed! Hi! I have to say THANK GOD i found this recipe. I too hate, absolutely hate, undissolved sugar in my buttercream therefore i am always in the search for buttercream recipes that dont have powdered sugar as one of its ingredients (because they never really dissolve in the butter). I have to ask you for a favour – can you please, please, please come up with a cream cheese frosting but with this recipes base? Basically i’m saying that i’m looking for a cream cheese frosting recipe that does not taste crunchy from the undissolved sugar crystals in the frosting. Thank you! I thought this message wasnt posted hence i wrote a similar message again. Plus wanted to rate this recipe a 5 star which i forgot to do here. Haha. I was very pleased with how easily, and beautifully, this frosting came together but I had a problem with it breaking down and separating when I went to use it. I made it the day before, stored it in an airtight container in the fridge, and took it out of the fridge about 2 hours before I needed it. It broke into large solid clumps when I tried to stir it, and when I rewhipped it in my stand mixer it separated. I let the mixer run at medium high for about 10 minutes and it finally came together again. However, I noticed that there were tiny drops of moisture in a few places on the surface of the frosting and although they could be stirred in, I was worried that it would separate again, so decided not to use it. The frosting tasted great and was smooth and creamy so I’d like to try it again. I’m wondering if it’s normal for it to separate after being stored in the fridge. I used a full teaspoon of vanilla extract and half a teaspoon of almond extract and am wondering it that added too much moisture. However, the fact that the frosting didn’t separate initially would suggest that the extracts aren’t the problem. I’m not familiar with this type of frosting so don’t know if it could break down after it’s on the cake? Perhaps I could have used it after getting it to come together for the second time. I had intended to frost the top and sides of a 9″ layer cake and don’t think there would have been enough frosting from a single batch to do this. I’ll double it the next time. Hi Sadie, for my late response, but I’ve been really busy lately! You’re right, the added extracts aren’t the problem. Neither is the fact that you’ve made it the day before and stored it in the fridge. You actually did everything right! Still, buttercream sometimes has a mind of its own, and occasionally it just separates for no apparent reason. I think that by stirring it, you somehow broke the water-in-fat emulsion. Unfortunately, this can happen. The best thing to do when that happens is whip the buttercream like crazy until it comes together again, like you did. I’m pretty sure you could have used the buttercream at that point and that it wouldn’t have separated again. My buttercream has never separated after I used it to frost a cake or cupcakes. Let me know how the buttercream turns out the second time! Hello, I am excited to try this frosting. I am making an Elmo cake for my granddaughter. I need to add red food coloring for elmo. I am not sure what effect this will have if any on this frosting. What do you think? Hi Veronica, I’ve heard that cakes frosted with a fatty frosting (like buttercream) can indeed be frozen, but I haven’t tried it myself. You may want to check out this post, on the Kitchn, for more details. Happy baking! Hi! I came across your very detailed recipe while researching this frosting which I’ve known for some time but have not tried so far. Now, I have always wondered if you could replace the flour with cornstarch. as I do for Bechamel sauce and Pastry cream (50/50 in this last case). Thanks in advance. I was really disappointed how soupy it was. I beat my butter for 7 minuets and then added the cooked mixture. It was all room temperature. When I piped it, it didn’t hold its shape at all. It tasted good though. Hi Kristina, I’m sorry the buttercream turned out soupy. Did you used real butter with 83% butter fat? Hi! My family loves this flour frosting! 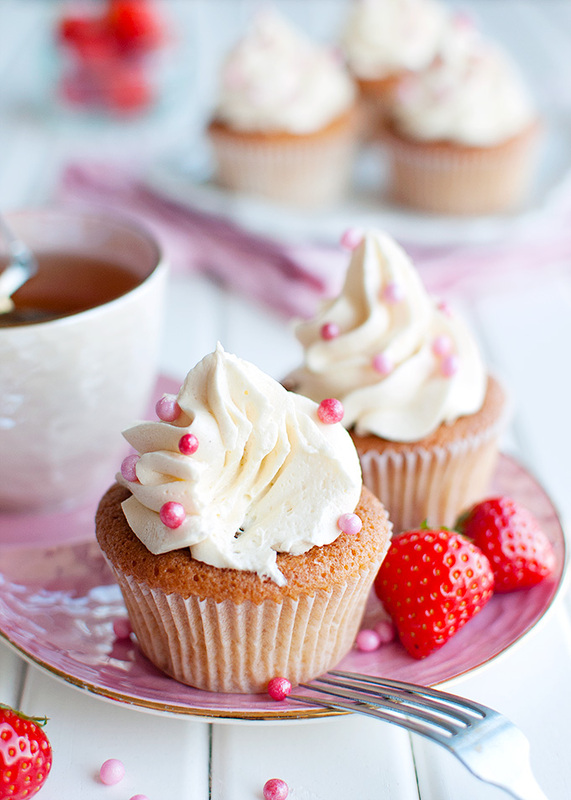 To me it tastes like a super rich and thick yummy more stable whipped cream frosting, so good! Wonder site and recipes by the way!!! Thanks! Hi Jade, I’m so glad you like my blog! And congratulations on your 25th anniversary 😀 Your idea for a chocolate stout cake frosted with Irish cream frosting sounds delicious. I don’t think subbing the milk for Irish cream is a really good idea, though, as it contains quite a lot of alcohol. I’m just not sure whether the pudding would hold. I guess adding a few teaspoons to the milk before making the pudding is fine, but bear in mind that the alcohol will cook off, so you might end up with a different flavor than what you were aiming for. Hi, I just made this buttercream but it looks a little loose , rather not very stiff peaks. Any idea why this happened? I am really looking to make this work. I have a bday party for my daughter coming up in 3 days… Please do reply . I followed your recipe exactly. Hi Gloria, I’m so sorry but I only just saw your comment. I’ve been a bit busy this week 🙁 Can you tell me which brand of butter you used? Just tried this buttercream for the first time for a Father’s Day cake for my husband. I have only made American buttercream in the past and that was only once. Everyone found it too sweet. This came out beautifully and was delicious. I was worried it wouldn’t be stiff enough to pipe “grass” onto the cake but it was great. One question if I may. Could I reduce the sugar content and maybe add more flour to compensate for any loss of stiffness? Love your buttercreams blog and will be trying the swiss next. Thank you for sharing! I’ve had your recipe in my scratch recipes folder on my desktop for quite a while and finally made time today to give it a try. I did make a few substitutions though. First, I normally only used unbleached flour so I wasn’t sure if that would make a difference. Next I don’t do dairy products so all I had was soy milk and butter replacement called Smart Balance. I was afraid that the Smart Balance would be too soft so I went and purchased I Can’t Believe its Not Butter sticks instead. At first I thought something was wrong because it took a very long to time to start boiling but then realized it was most likely because of the electric stove top. It did start to thicken up and so I cooked it a little longer than 2 minutes it was more like 6 minutes to get it to thicken to a pudding like consistency. I followed the rest of the directions in the recipe. I must say that was the lightest & silkiest frosting I have ever tried. It wasn’t really overpowering on the sweetness and it piped beautifully. It also held up quite well here in the Oklahoma heat & humidity but it also wasn’t out very long before the cupcakes were all gone. My family loved it. I thought it almost tasted like vanilla ice cream or whipped topping. I definitely will use this recipe again. Thank you so much. Hi there! I’ve used your recipe a bazillion times and I love it, but I’m wondering if it would work to cook the base, chill it overnight in the fridge, and then bring it back to room temp to make frosting the next day? Also, for a variation, I often cook the base with a bunch of finely grated lemon zest to make a lemon cream frosting and it’s always great. Thanks so much! 99% of the time i use Italian butter cream.. Do you think that your recipe will do a better job? I just made your frosting for the 1st time and loved it. I have to make cupcakes for a bridal shower in 2 weeks. Can you make and frost the cupcakes ahead of time and freeze them? Thank you so much for this recipe!!! Hi Beth, sorry for the late response! I’ve been so busy. I’m glad you like the frosting and it certainly can be frozen. However, I’ve never frozen frosted cupcakes or cakes, so I’m not sure how it will hold. I read online that frosted cupcakes can be frozen, but if I were you, I’d make a test batch all the same. That way, you’ll know for sure! This is the buttercream I were search for a long time ..I made this and it was fantastic …every one like this ..not too sweet and have a taste like heaven..I’m a baker and now I don’t want to make another frosting for any cake..if there’s a cake to make frosting will be just this for every one 😉 …and I’m livening in Dubai.and it’s too hot in here.so this butter cream suits for hot climate also…love it..god bless u and ur family..also God bless to ur magical hands..
this sounds great, 2 questions though. 1) I would like to add high quality raspberry jam, when would I do this? 2) Can/Should I use superfine sugar so it will break down better? Can’t wait to try this recipe sounds like what I need. Wow, this is so timely. I tried three buttercream recipes today and still couldn’t commit to one. Too sweet, too whipped, too runny….I can’t begin to explain how excited I am to try this recipe. Thanks so much for your dedication to this amazing craft ! hello! wondering if I can add fresh squeezed lemon juice and zest? I was not sure if the acid would break anything down? could I use instead of vanilla? Hi karen! 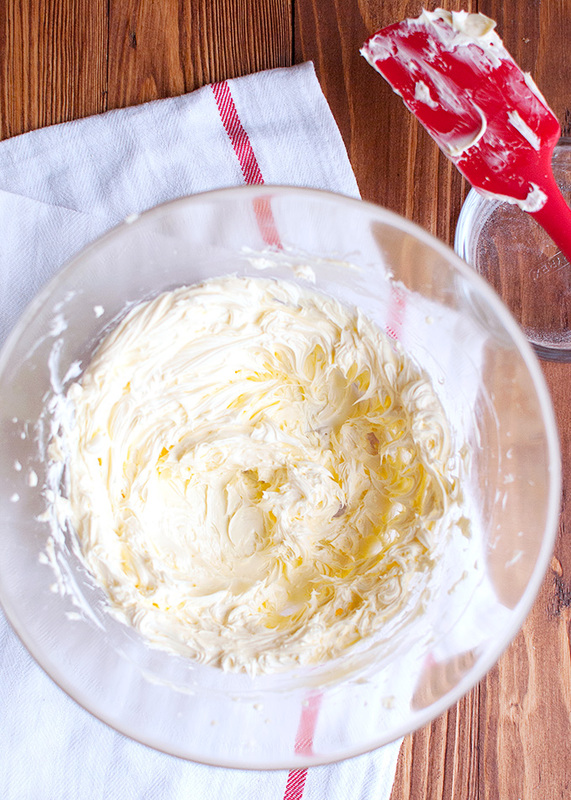 Yes, you can use lemon juice and zest to make a lemon buttercream. Just don’t use too much (as in: more than 60ml or so) of juice. But I’m pretty sure it doesn’t need that much to become lemony 😉 You can also substitute a little milk for lemon juice when you make the pudding. I tried out your recipe and it’s hands down the best buttercream ever! I personally love the taste of condensed milk. If I were to use that in the recipe, how would I go about adjusting the amount of milk and sugar? Okay- so this evening I made this stuff. First made a bunch of vanilla cup cakes. I made your recipe 1 and a half times. 1 cup granulated sugar and half cup icing sugar.In south Africa we can buy whole milk with simply a vanilla flavour. it’s not really sweet. i used that. All my stuff LOOKED like yours, worked perfectly and when my kids tasted this icing they said MOM never ever make that other again (the whole pack of 500 gram icing sugar, bit of butter and blah blah.) thank you sincerely from my heart. It tastes like soft serve ice cream and the silky texture disappears on the tongue. WHERE was this stuff in my life before? I don’t get it. What would happen if, with the butter, I beat a block of philly cheese in as well and then the “pudding” ha ha ha cute adjective for that gloopy stuff? I guess it’ll still work… I’m quite excited this evening. Thought I had it ALLl cakewise. Thanks again! Just saw your comment now. I’m so glad you and your kids loved the recipe, Chloe 😀 I’ve been meaning to make a cream cheese version of this frosting. And yeah, I thought about simply subbing some of the butter for cream cheese, too. Hi Nila, I made this recipe and it turned out amazing, however when I put it in fridge and took it out to use the next day, it started to curdle when I started to beat it again 🙁 it did come together after beating for about 10 minutes but it wasn’t as creamy and light like it was initially. And as soon as it gets warm it curdles and seperates again! Any idea why? Hi Amna, did you allow the buttercream to come to room temperature before you started beating it again? I think the curdling has something to do with the temperature of the buttercream… I’m trying to come up with a fix for this! Hi, I tried this recipe and this is the delicious buttercream I ever had. Can you please help me? How can this be fixed? Hi Neha, if the buttercream really is too soft to pipe, I wouldn’t risk using it as it is for a rosette cake. You can add a little beaten butter to the buttercream to make it a bit stiffer, or you can make a thicker pudding, again using milk, sugar, and about a tablespoon more flour than the recipe calls for, and use that to make a new batch of buttercream. Hope this helps! Hi Liz, I’ve never used butter compound, so I wouldn’t know whether it would work or not, but I CAN tell you that, yes, you can use this buttercream to pipe roses, such as the roses on this cake. If you want to make those intricate Korean flower cakes, I’m not sure whether this buttercream is the right choice, because I’ve never tried it. What kind of flowers do you want to pipe? why you have not reply my questions? Hi Sandra, when did you send me your question? Maybe it got lost in the rest of the comments. If you know the date, I can look it up for you! Hi. Will this be okay to frost a cake? Or pipe flower design on cake sides and able to hold the shape and will not droop down? Can i leave it at room temp on frosted cake if ever? Hi again. I tried your recipe and the end result was like a whipped cream consistency, and its a little bit runny, is that supposed to happen? thou it can still pipe 2D design . Im afraid that if i used this to frost the whole cake and leave it at room temp. decors will start to droop down. Hi Jared, the buttercream should be a lot stiffer than whipped cream, and it definitely shouldn’t be runny! What consistency did the pudding base you made have? Was it goopy, or runny? The pudding is thick like a hot glue gun when it cooled down its not drooping down when turn upside down. Or maybe a hot climate is also a factor? Hi Jared, a hot climate can certainly make the buttercream a bit loose. Where do you live? Hello, any ideas how I could make this icing to gluten free? I am making a birthday cake for a 2 year old boy and he has allergies. I would love the icing not to be overly sweet but not too sure what to use instead of the all purpose flour. Hi Shazmina, you can use cornstarch! Simply use 2 tablespoons and 3/4 teaspoon of cornstarch instead of the flour 🙂 You can also cut back on the sugar if you want to! Hi. This buttercream is easy and delicious as well. I want to make mocha variation, but I don’t know how much coffee and chocolate to add. Can you help me? Hi shirlwy, I bet a mocha version of this buttercream is delicious! If I were you, I’d add about 1 to 1 1/2 teaspoon of instant coffee granules and about 3-5 tablespoons of Dutch-processed cocoa powder to the milk mixture before you cook the pudding. I haven’t tried it myself yet, but judging by my recipe for French coffee buttercream and a recipe for chocolate pudding that I found online, I guess this should give you a decent mocha flavor 😉 I’d love to hear how it turns out! I tried this recipe last night it turned out to be chocolatey, but I want mine to be more on the coffee side. So I reversed your recipe and use 1 1/2 tbsp. of coffee and 1tsp of cocoa powder. It turned out great. My husband love it. Thank you! ???????????? I was wondering in making this recipe could you not still use powered sugar instead of the Granulated ? after all it is still sugar just finely ground . this looks like a great recipe was just wondering. Hello!! I just found your awesome blog. I am really new at making buttercreams. But i have to master this before my first baby’s first birthday! I have made american buttercream twice already. Its so gritty and sweet. I didn’t like it at all. I didnt even know that there is something called ermine buttercream before, I just want to make buttercream that we get in good bakeries birthday cakes. Is this the one they use in general? I tried this today and OMG it was the yummiest ever..this recipe is a keeper! I added 300gms melted chocolate to give the chocolate flavor..Thank you so much for the recipe! Hello! I found your awesome blog through google after seeing someone posting on FB using ermine buttercream. Your recipe does sound so great to me. Just a quick question, would you recommend this to pipe flowers? 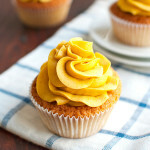 I have tried Swiss meringue buttercream before but way too sweet! Since this recipe seems so tempting to me, I want to use it for flowers on a birthday cake. I would like to try this recipe for a simple chocolate cake for my daughters 2nd bday, which is in a week. I typically bake/assemble the cake the night before and store it covered at room temperature or in the fridge (although I don’t really like putting a freshly baked cake in the fridge). I’m a little worried about the frosting and how it will hold up if I frost the cake the night before and leave it covered at room temperature or if i store it in the fridge the night before. Does it harden on the cake but then soften up when brought back to room temp? What would you recommend? I’m looking for no fuss. Thanks! Tried the ermine buttercream today and totally LOVED it. Was a bit sceptical before, because previous trials ended up curdled and/or runny. But when I followed your method it piped beautifully. Thanks sooo much for sharing. Yes, it’s possible! One of my readers send me an email and told me that he made a killer strawberry buttercream that tastes like strawberry ice cream by using strawberry milk powder. He simply replaces 1/3 cup of sugar with the strawberry flavoring. Hope this helps! Hi 🙂 I’ve been wanting to try out Ermine frosting for a while now and decided to try out your recipe. However, after 2 tries, I still haven’t pulled it off and then I found a contradiction in your text. In the actual recipe, it says to bring the milk mixture to the boil over low heat, but in the text further up on the page, it says to bring it to the boil over medium high heat and then turn down once it starts to simmer. Could you please tell me which one is correct? I followed the actual recipe and used low heat and here is what happened: after stirring for about 1 hour (!) it finally started to thicken and eventually boil. At this point it was also starting to burn a bit in the bottom of the pan, since my arm was getting tired and I wasn’t whisking as much. However, what I ended up with looked more like sticky caramel than gloppy glue paste. But I kept going and covered it with plastic wrap and let it cool and when it was time to add it to the butter, it had gone really hard and sticky and it was impossible to mix it in. That doesn’t sound right, Linda. I’m sorry the recipe hasn’t worked for you. Honestly, it doesn’t really matter whether you bring the mixture to a boil over low or medium high heat. The point is you heat the mixture to a boil, then turn the heat down so the pudding cooks gently and doesn’t burn. It sounds like you never got the mixture hot enough for the flour to cook and thicken the mixture, just hot enough to evaporate a lot of the moisture, causing the mixture to turn more into a sticky, hard caramel. Try turning the heat up next time. You should see bubbles after a few minutes of cooking, and the mixture should thicken after a couple of minutes of stirring. If it doesn’t, it’s not hot enough! I made this again but this time i melted 150gms chocolate into the the flour mixture for chocolate frosting. It was a little looser but tasted absolutely amazing.